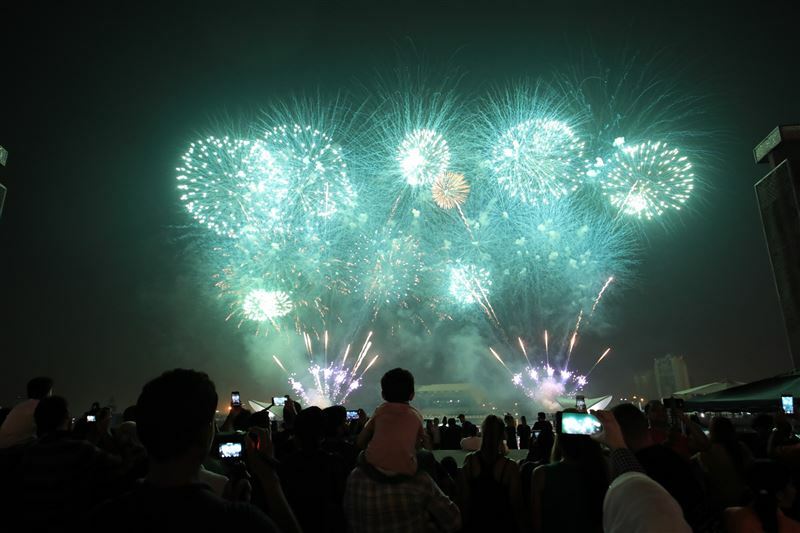 Visitors to this year’s Dubai Shopping Festival (DSF) will be treated to a host of entertainment on New Year’s Eve and New Year’s Day with Dubai Festivals and Retail Establishment (DFRE), an agency of Dubai Tourism, giving more reasons to visit the city’s malls and landmarks on 31 December and 1 January. By day, shoppers can enjoy the best deals across fashion and jewellery for a chance to update their wardrobes. By night, visitors can watch the multiple fireworks displays lighting up the night sky and choose from an array of live concerts, events and gala dinners across the city. Shoppers visiting Al Barsha Mall, Al Bustan Centre, Al Mulla Plaza, City Centre Shindagha, City Centre Me’ aisem, Burjuman Centre, Karama Centre, Oasis Mall, Dubai, Dubai Outlet Mall, Etihad Mall, Reef Mall, Times Square Centre and Century Mall have the chance to win a cash prize from AED 10,000 by spending over AED 200 on 31 December. From 5 January and every Saturday until 2 February, one lucky winner who spent AED 200 on or before 31 December will be drawn to step on to the Global Village stage and spin the wheel to win a cash prize of up to AED 200,000. Shoppers can head down to The Dubai Mall this New Year’s Eve to bag the last of the years’ bargains and watch the most anticipated fireworks show of the year. With shops open till midnight, there is plenty of time to enjoy the promotions and then be wowed by the Burj Khalifa’s legendary New Year’s Eve fireworks spectacle. 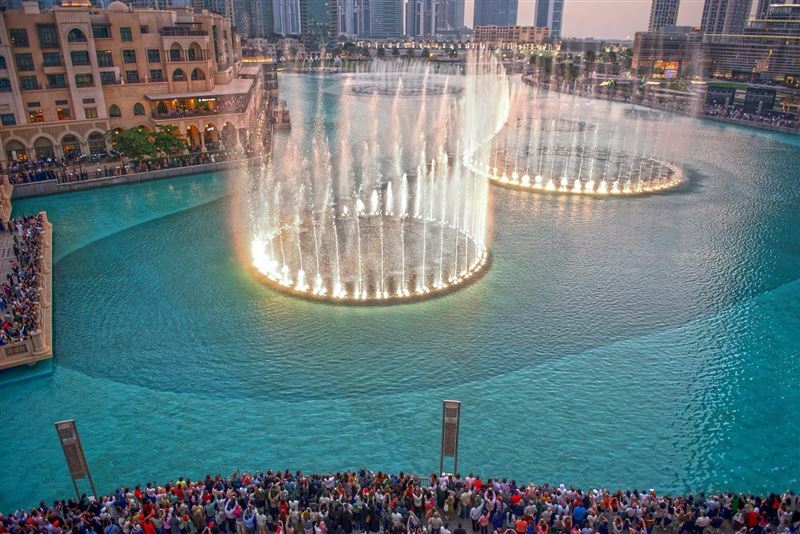 Downtown Dubai and its neighbouring areas will enjoy a scintillating light display, timed with the Dubai Fountains to capture and attract visitors and residents alike. Dubai’s visitors and residents can enjoy a full day’s shopping at Dubai Festival City Mall until midnight on New Year’s Eve. When the clock strikes 9:00pm, shoppers will witness a host of entertainment provided by the mall in the form of four incredible firework displays. IMAGINE, which was awarded a prestigious Guinness World Book Record for its show of lights, water and sound, will add another element to the New Year’s Eve celebrations. Shoppers can soak up an authentic market experience at Al Seef Heritage Souq, which reimagines the unique story of Dubai and the Dubai Creek. Located in Al Seef shopping district at the historical Dubai Creek, visitors can engage with merchants and artisans and bargain for original pieces at the new-to-DSF activation. An opportunity to experience something different this New Year’s, Al Seef Heritage Souq will offer an array of educational programmes, entertainment and a vibrant shopping market. 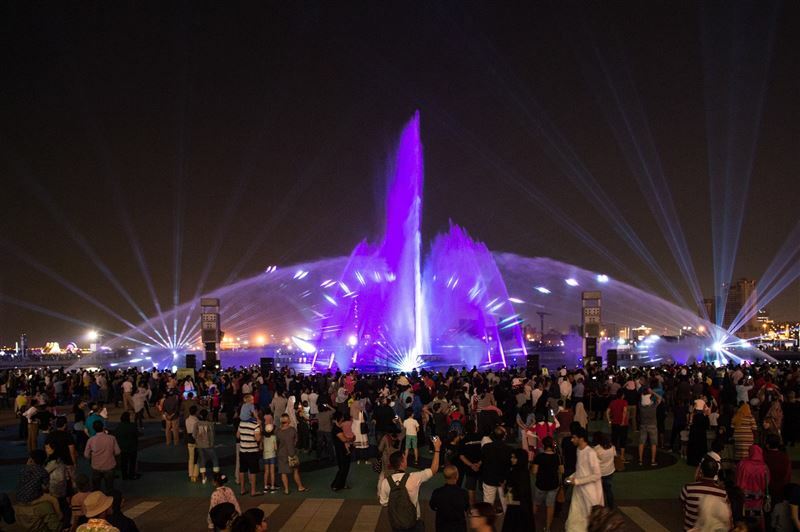 In addition to the series of incredible sales and promotions, DSF will offer an extensive line-up of exciting events and activities for residents and visitors to choose from including concerts by music icons and free-to-attend family-oriented activities in malls and activations by leading brands. For more information, please visit www.mydsf.ae or @DSFSocial and #MyDSF for the latest news, information and events. DSF is supported by strategic partners which include: Emirates Airlines, Emaar (The Dubai Mall), Majid Al Futtaim (Mall of the Emirates, City Center Mirdif, City Center Deira), AW Rostamani Group, Al Futtaim Group (Dubai Festival City Mall), Nakheel Malls (Ibn Battuta Mall, Dragon Mart 1, Dragon Mart 2), Dubai Duty Free, ENOC, Al Zarooni Group (Mercato), Meraas and Etisalat. The key sponsors include: VISA and Jumbo.